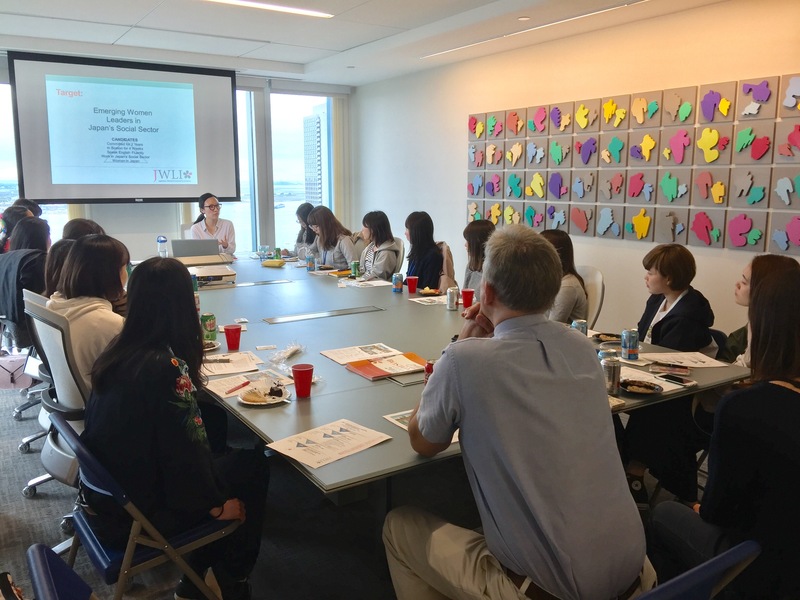 On May 30th and May 31st, JWLI Program Manager, Kozue Sawame, gave presentations on “The Importance of Marketing to the Success of an NPO” to a total of 39 undergraduate Japanese students from the Showa Boston Institute. Kozue’s presentations helped the students assimilate the application of “marketing concepts” to real life situations and furthered their understanding of JWLI’s initiative. Kozue addressed how JWLI staffs used a variety of marketing methods to help the organization increase its online presence and reach emerging women leaders in Japan’s social sector. Moreover, Kozue warmly invited the students to share their thoughts on marketing techniques that could be used to help the JWLI program grow. A lively discussion sparked when Showa students talked amongst their peers about alternative and innovative marketing methods that could help JWLI expand its outreach. Some students gave many constructive feedback on JWLI’s current marketing and even shared their own marketing ideas with Kozue. Atsuko Hosted a Luncheon with a Talk by Gen. Yoshikazu Watanabe 2017 JWLI Program Has Started!